With seismic shifts changing the dynamics of IT, the future will always belong to those companies that push the boundaries of what’s possible. That was the focus of Discover 2016. 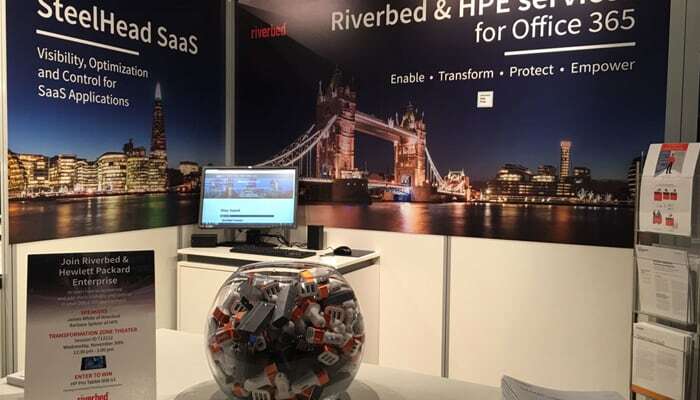 Riverbed is proud to have had a strong and multi-faceted presence at this industry gathering, which drew influential IT leaders and HPE partners from around the world. As mentioned in my previous blog post, together with HPE I delivered a joint presentation on best practices for the transition to Office 365. We spoke to a full audience of attendees interested in optimizing their success with Microsoft’s cloud-based subscription service. For those of you who didn’t make it to London, take a look at my presentation here. While having a speaking role was a highlight for me, what stood out most were the high-value meetings we were able to hold with the HPE senior management team. These breakthrough sessions would not have taken place—at least not so soon—without Discover 2016 to bring us all together. Our companies are well aligned and we continue to look for new ways to drive success for our mutual customers and partners. Introductions were also made to potential new customers from around the globe, including one with more than 90,000 Office 365 users. There was a lot of excitement in the booth, too. We raffled off an HPE Slate and Renato Correia, CIO of Contidis (Angola), was the lucky winner. Even though we live and work in an online world, nothing takes the place of face-to-face interaction with your most important customers, partners and colleagues. Our experience at Discover2016 was exceptional for Riverbed on many levels. We’d like to thank HPE for allowing us to participate in such a big way. 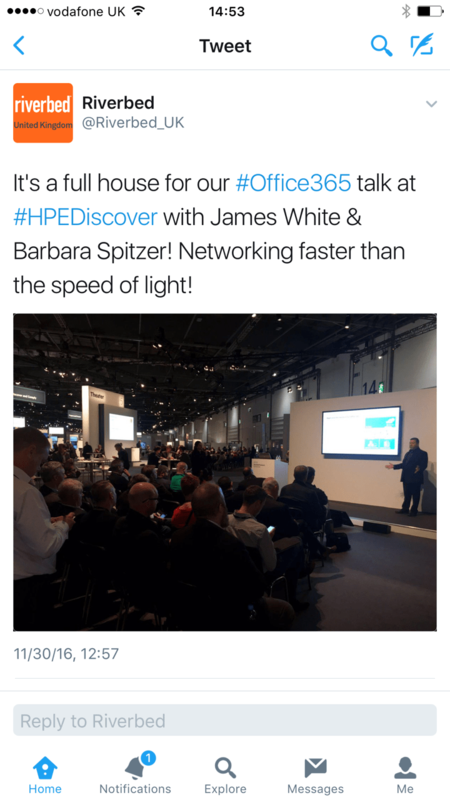 If you missed the event, highlights from Discover 2016 are now available online, courtesy of HPE. For more insight on Riverbed’s Office 365 offerings, read our Office 365 Solution Brief or visit our Office 365 Solutions page.